It’s no secret that we, punters and also editors of this website, prefer to play NetEnt online pokies over just about any others. It just so happens that they recently announced a launch of a major game that will be branded after one of the most popular rock bands in recent years. What we are talking about here is the Guns N Roses pokie machine. Even though it’s still fairly unclear what features and top prizes this game will have, we are ready to make some educated guesses. The creation of this game was announced at 18th of February, during an ICE Gaming conference and it brought a fair bit of attention from players and industry experts alike. Play at Guts With $300 + 100 Free Spins! Play Now! Looking at some of the previous games that Net Entertainment have created, we can make an assumption that they are not going to create an ordinary game. 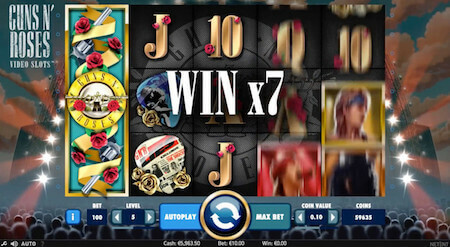 For example, Dazzle Me, which is their latest game released, features a unique game row concept that reminds us very much one offered by Zeus pokie – a title from WMS. We are almost certain that the game will include a fair bit of soundtrack from Guns and Roses, as that’s the whole purpose of making a deal like this, right? We might see a few video cuts from their concerts as well. 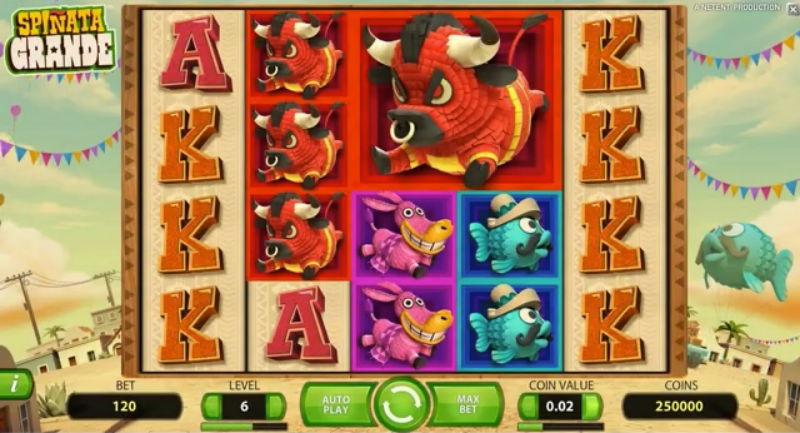 Though NetEnt games are not really known for having that, unlike ones developed by MicroGaming. Where Will This Game Be Offered? 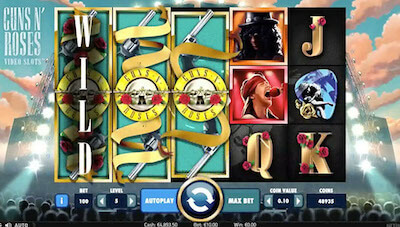 Just like most new online pokies from Net Entertainment, Guns and Roses will first be brought over to their exclusive partners. This includes many brands we would recommend joining – Guts Casino, Casino Room and Leo Vegas just to name a few. Truth be told, it is best if You join them now, so You can take a full advantage of free spins and special bonus offers when this much awaited online pokie rolls out. Over 300 pokies on desktop and 80+ on mobile. Withdrawals approved in 2 hours! UNLIMITED 1st deposit bonus + 50 ND Free Spins on South Park! Play over 500 pokie games with $600 bonus and 60 free spins!